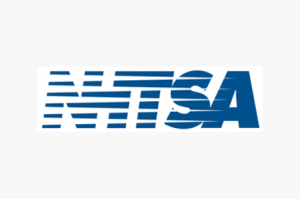 The National Highway Traffic Safety Administration’s (NHTSA) National 911 Program provides Federal leadership and coordination in supporting and promoting optimal 911 services. The National 911 Program plays a critical role by coordinating public and private sector efforts that support 911 services; collecting and creating resources for local and state 911 Authorities who operate the 911 system; and, administering a grant program specifically for the benefit of 911 Public Safety Answering Points (PSAPs). Project management and expert subject matter facilitation support for the following high-priority NHTSA projects: National 911 Roadmap/Agenda; Revision of Model State 911 Plan and Model State 911 Legislative Languages; and, Strategic Plan for Collection and Use of Uniform Nationwide 911 Data. Convene and facilitate stakeholder outreach meetings to establish best practices and generate input that will support the national 911 community by providing improved 911 services. Cradle-to-grave strategic planning oversight, facilitation and technical document development for a nationally uniform 911 data system and a plan for initiating its implementation.